When it comes to aging gracefully, a Southern woman is never too proud to turn down a little help. Just like how we religiously apply our daily sunscreen and nightly retinol serum, we’re keeping our hair cut and styled to perfection. As it turns out, however, all of those hairstyles and curling irons aren’t worth a penny in youth if our shade of choice isn’t as forgiving. Looking years younger comes painlessly by choosing the most flattering hair color. First, it’s time to leave monotone color at the salon door and embrace warm highlights. Because no matter your hair color—blonde, brown, red, or gray—you’re going to look older if it lacks dimension. The goal is to bring out a youthful glow in your face by infusing that same warmth and softness into your locks. That’s why cool tones aren’t generally the ticket to eternal youth. Caramel, honey, gold, copper, and strawberry give a healthy brightness that makes us look and feel younger. (Framing your face with lighter shades draws the eye away from any complexion concerns, as well.) If you want to take a dip into the fountain of youth, choose one of these hair colors that’ll make you look years younger in an instant. For brunettes, caramel highlights offer the easiest and most deliciously rich way to add warmth and softness to facial features. Not only is it an update that’s not overly extreme, but it can be made even more low maintenance by focusing solely on the ends and around the face. Caramel is guaranteed to make any brunette look fresh and vibrant, every single season. 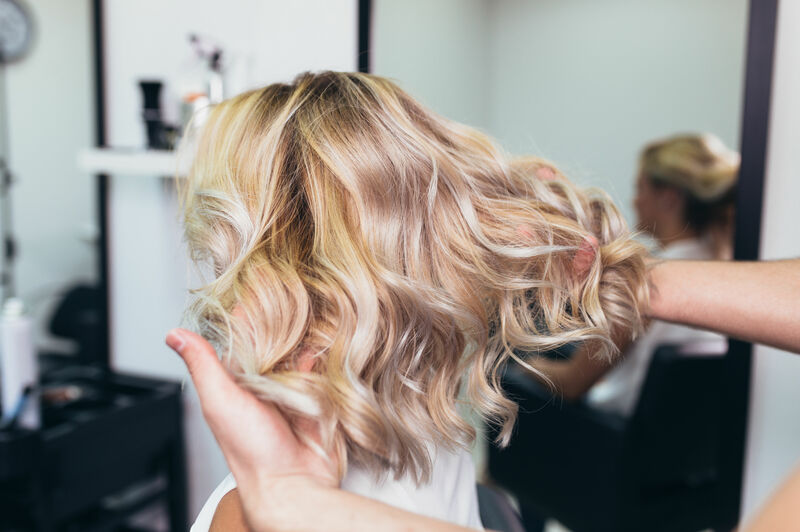 With its darker base and warm blond highlights, bronde (or the similar ‘broomstick blonde’) is great for any age—because it perfectly toes the line between blonde and brunette. You get the youthful glow of golden blonde without going too far outside of your natural base. Face framing highlights are key to this fresh shade. This bright blonde with wonderful hints of strawberry gives a bright option for blondes and redheads, especially those with cool skin tones that have naturally light, orange-red base tones. Enhancing this hue adds a youthful glow to any lady, and it’s easy to maintain to boot. A gloss every six weeks or so will keep the reddish hues vivid and fresh. We’re pretty sure that coating any chocolate brown base with golden balayage might be the ticket to eternal youth. It creates a shade that will catch the sunlight like a blonde without having to stray from your brunette roots. (That’s the type of fresh, young glow we’re looking for.) Plus, framing the face with lighter golden pieces draws the focus away from any hollow areas, especially the cheeks. 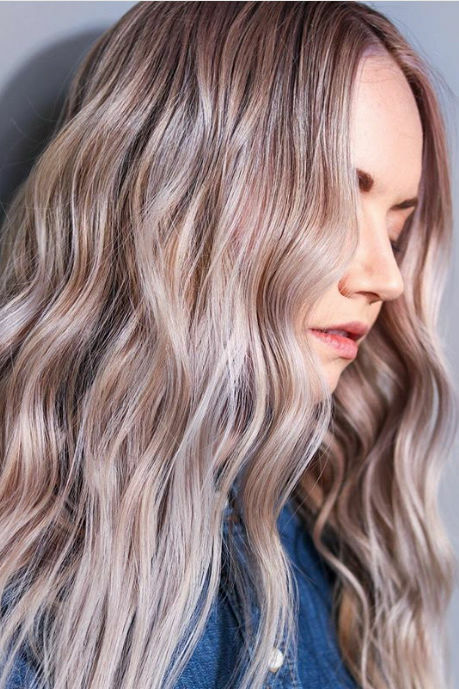 This isn’t your basic platinum blonde. This warmer, yellow-based blonde brings out the Goldilocks-esque tones of your natural hair shade for a brighter complexion overall. The smooth-as-butter color adds a young softness to your face as well, which perfectly counteracts the way that aging makes us lose fullness and fat in our facial features. For those who gravitate towards inky black hues—or have a naturally deep black base color—it gets tricky as time goes on and starts looking a little harsh as we age. Instead, soften the shade into a muted black to create a healthier, shinier head of hair. The hair color sits just on the edge of the brown-black spectrum, and it’s much more flattering than jet-black. 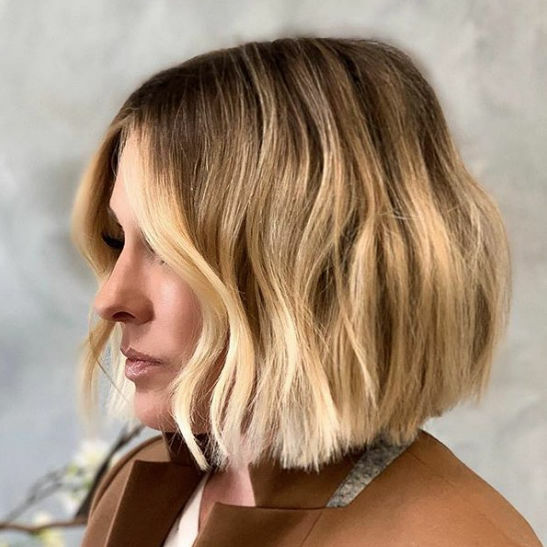 As we get older, our skin and hair might lose some of its natural luster—so what better way to get it back than with golden honey balayage highlights? Adding this epic warmth to blonde hair will give your complexion a youthful glow, more shine, and incredible dimension. A rich red, such as auburn, will enhance brunettes and redheads alike and give the appearance of younger and more radiant skin by reflecting light around the face with its warm tint. The best thing about this deep red-brown is that it still has a kick of fiery vibrancy, no matter if you go subtle or ultra-bright. 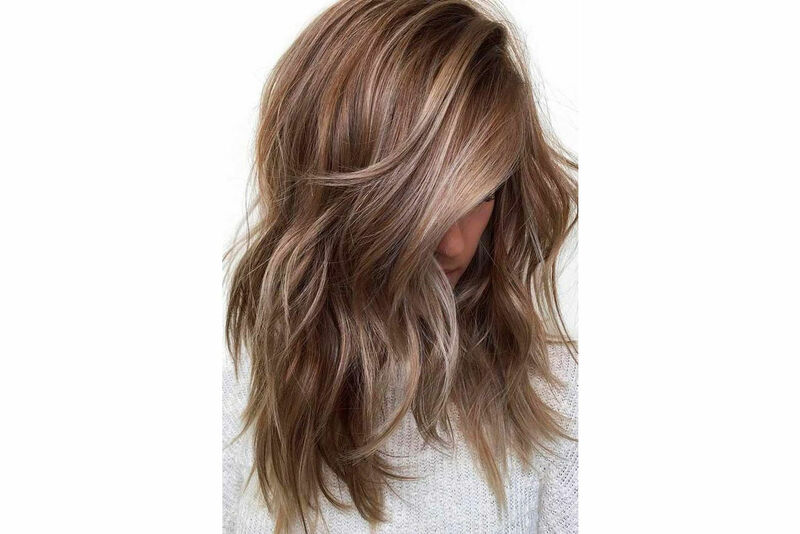 When in doubt, go with multi-dimensional brown that uses balayage to create rich ribbons of color. Tortoiseshell uses chocolate browns, caramels, and warm gold together for a dynamic range of color—but keeping the look subtle and soft will avoid making it look overdone for any age. Balayage highlights over a medium brown base make for a perfect sun-kissed effect.